Things have certainly heated up in the Duffy trial over the past few days. It appears that the Prime Minister has been lying to Canadians for years about who knew about the 90K payment to Duffy, and that both his former chief of staff and current chief of staff were actively involved in the cover up. As more and more of the people closest to Harper are implicated in being involved in this, the less likely it becomes that Harper himself knew nothing. We are to believe that he was betrayed by his staff in some way, but even if that was the narrative they wanted to push, Harper would have fired Novak immediately, as well as everyone else close to this garbage heap. No, the Conservatives want us to believe, even after huge amounts of evidence to the contrary, that nobody but Duffy and Wright are responsible for this cover up. In other words, the Conservative Party of Canada thinks Canadians are stupid. If the Conservatives hoped that this trial would just disappear after the Wright testimony was over and that they could get back to normal pushing their agenda on the campaign trail, they have miscalculated. Perhaps they were unaware of how damaging the testimony would actually be. It's like the spouse caught in the Ashley Madison data leak. You can come up with all sorts of excuses, and even change the channel afterwards, but the trust is gone. We will have to wait and see what the polling says in the next couple of weeks, but if the Conservatives don't take a hit I would be very surprised. Small C Conservative voters are not going to like the smell of this, and I suspect that even those who say they would vote Conservative may not show up come October 19. "But it's August! There is still two months left in the campaign for things to change", they'll say. Government's don't recover from stuff like this, and the longer the campaign goes on, the more questions Harper will have to answer, and the less credible he will look. It's a disaster for the Conservative camp. They will pull out all the stops to try and make this go away after the trial goes into recess, but the damage is done. One poll showed the Liberals edging out in front of the Conservatives, and I would not be surprised to see this trend continue in the next few polls. It's summer, yes, but people are paying attention. 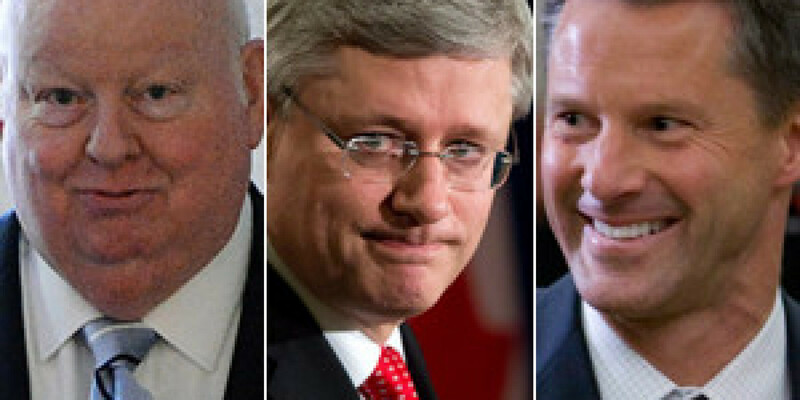 What remains to be seen is if this trial will in fact be a mortal wound for Harper. He decided to call the election, so it's obvious that he thinks it will not be, but that may have been a mistake. 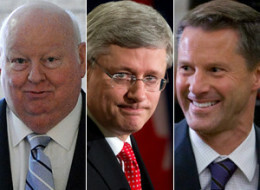 You don't have to like a person to make them Prime Minister, but you do have to believe they have some credibility. Again and again Harper is made to look like a liar. Those who are the very core of his base will still vote for him, but it won't be enough. And Harper knows this is it for him. If he cannot get a majority, he will call it a day. The only thing he can hope for is that Canadians aren't paying attention, or have already made up their minds on the matter. A dangerous gamble.